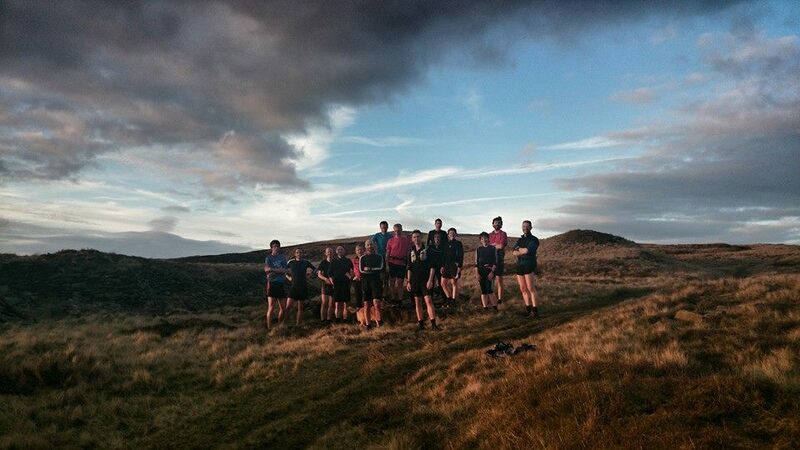 Glossop’s proximity to Kinder and Bleaklow puts us in an enviable position in relation to many other running clubs. The Fell group heads out on Tuesdays and Thursdays and is run on a system of equals with each runner being responsible for themselves. The route is generally agreed on the night. This group is generally back by 9, but can be back as late as 9:45 to 10pm This run is not one to jump into as a novice runner. Participation is free to members and occasional guests. As running on the hills, even in summer, can be cold and wet (and given that we run in the evenings – it will get dark) decent fell shoes, a light bright enough to run with, full waterproof covering, hat, gloves, whistle and a charged mobile phone must be considered basic kit. Additional kit such as a lightweight shelter and/or extra clothing and survival blanket may be a wise precaution on some runs. As a club we abide by the Countryside Code. Freedom to roam on the hills is a hard fought right and it would be tragic if restrictions were placed upon us all because of inappropriate actions by the uninformed and selfish few. We expect all members of the Club (and guests accompanying us on fell runs) to be familiar with the Countryside Code and abide by its sensible rules.